Toynton Ian, Kroeker Allan, Jones David Hugh, Yaitanes Greg, Little Dwight H., Bookstaver Sanford, Norris Patrick R., Lautanen Scott, Gaviola Karen, Woolnough Jeff, Napolitano Joe, DePaul Steven, Duchovny David, Deschanel Caleb, Jr. James Whitmore, Wright Thomas J., and others. Hawley Noah, Nathan Stephen, Silverstein Craig, Daley John Francis, Goldstein Jonathan M., Usher Karyn, Hong Gene, Trahan Mary, Kettner Carla, Hanson Hart, Peterson Michael, Silver Emily, Hortua Joe, Benjamin Elizabeth, Waithe Lena, Collier Jonathan, and others. 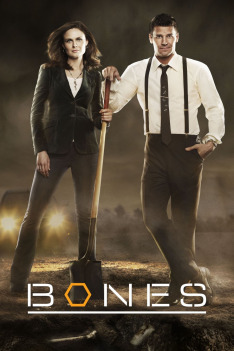 Boreanaz David, Deschanel Emily, Conlin Michaela, Millegan Eric, O'Neal Ryan, Ivanek Željko, Poindexter Larry, McGregor Katherine Ann, Belcher Patricia, Thyne T.J., Faraj Said, Howe Tracy, Aubert K.D., Carter Alex, Gallagher David, Kennedy JoNell, and others.